This is a sweet and short romance based in the charming town of Marietta. 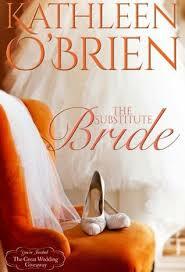 It is the third book that I have read in the series, but my first by Kathleen O' Brien and I enjoyed her dual point of view writing style, but I did wish that she separated the different POV's better because she was just switching between characters in the same page without proper separation and this made it very confusing. I liked Drew's character because he was sweet and romantic, but I do not think he was realistic as he fell back in love with her again instantly. Marly's character was strong and independent and I loved how she stood up for herself and her beliefs even when life kept on pushing her down. The chemistry between Drake and Marly was nice, but nothing spectacular. I did feel that the author was rushing the book from the middle and she did not explore the characters more which resulted in a lack of character depth. Overall this is a sweet and short read with a lack of character depth and a rushed story line. Marly Akers returns to Marietta jilted by her fiance and pregnant and the blow to her ego comes when she begins to work for the family newspaper and shares a tiny apartment with her disapproving mum. She thinks that things definitely cannot get any worse, but then her teenage crush Drake Everett who broke her heart decides to make a re-acquaintance. Drake these days seems to be a different as he is now funny, sweet, decent and supportive and Marly realizes that she could fall for him again.